Trump has always been in the news for some reason or the other. One such reason is Net Neutrality and the debate around it. Some states are separately standing against the repeal of net neutrality Trump and FCC. Lately, Mozilla and Vimeo have initiated a legal battle against the US Federal Communications Commission. The companies have received support from 22 states and the District of Columbia. Net neutrality will soon disappear. With the repeal of net neutrality Trump, the FCC sets internet giants, and service providers free to behave as per their wish. The Internet is an open place for everyone. There should be no favoring or blocking of the websites or content for any purpose. The consumer has the right to choose the content he/she wishes to, and no internet service provider has any say in this. However, once the Obama era net neutrality goes away, ISPs will have the power to decide the accessible content as per the internet plans bought by the user. To overcome such restrictions, a VPN is the right solution for you. VPN or virtual private network, as the name suggests, is a private network that consists of different servers. This private network allows its users to access the internet without any prohibition. The network creates a secret channel through which information travels to the end user. Therefore, there is no involvement of any third party on this channel. Additionally, the internet connection is highly encrypted. It is a fundamental right to have access to information of your choice. The discrimination should not be there when it comes to internet usage. It should be free and always have to be free for the betterment of the world. For this reason, VPN serves as one of the best solutions. Le VPN supports the concept of free internet for all. 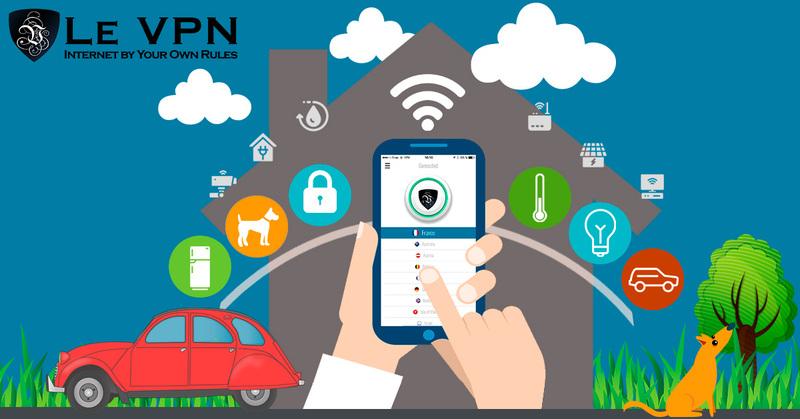 Hence, Le VPN is among the leading organizations offering the best VPN services across the globe. Le VPN offers best services when it comes to Virtual Private Network. Le VPN’s VPN France is one of the leading choices for French population who wish to have a VPN connection. Bypass geo-restriction – Le VPN allows you to bypass geo-restrictions. You are free to access the internet from a random French IP address. The online content can be streamed from any of the 114 countries, where Le VPN has VPN servers. While traveling abroad, use Le VPN. You can have first class security to online transactions and information stored on your devices. Stream content of your choice – Episodes from all over the world can be streamed when the French are using Virtual Private Network offered by Le VPN. Therefore, subscribe to Le VPN today and enjoy the great internet experience.